“Total Joint Replacement: A Patient’s Perspective,” a documentary providing an inside look at four real-life patients facing the need for hip and knee replacement surgery, is now available in DVD format. The American Association of Hip and Knee Surgeons (AAHKS) sponsored the film in cooperation with the Orthopaedic Research and Education Foundation (OREF). Until now, the 52-minute film had been available on VHS tape and via webcast on http://www.OR-Live.com. The American Academy of Orthopaedic Surgeons’ national campaign, A Nation in Motion, shares the stories of more than 600 patients whose lives have been saved or restored through access to high-quality orthopaedic care. These inspiring stories illustrate the conditions, injuries and traumas that millions of patients have braved head on – and the excellent care that got them back to work and to their active, full lives. The patients featured on the website have shared their stories in one simple phrase, “Because of my orthopaedic care, I can…” It isn’t too late to submit your patients’ stories on the site. Visit anationinmotion.org to submit, read the stories, and to play A Nation in Motion the Game online, and navigate the path of orthopaedic scenarios throughout life before you can successfully reach the “I Can! Club.” The “I Can! Club” represents a full, enjoyable and mobile life. Getting a hip replacement is almost like an investment. Here you take the hit early on – being put out of action and going through considerable discomfort – with the pay off coming later down the line when you will hopefully be able to return to your normal life in less pain than you were before. Like any investment, the sooner you make it, the more you stand to gain from it. Many people put off their hip replacement and choose to instead wait for it to get worse, or wait for it to be a ‘better time’. The truth though really is that there is not really ever going to be a ‘good’ time. If you think you have a lot on your plate now, then you probably didn’t foresee it a few months ago. Similarly in a few months you are likely to have a different selection of just-as-pressing issues. What you are doing by opting to have your hip replacement as soon as possible is getting it out of the way so that you can return to your normal life with no pain and this is highly important. Another reason to have a hip replacement sooner rather than later is that having a bad hip can cause you to place more weight on your other leg and this in turn can result in you ending up with two bad hips. 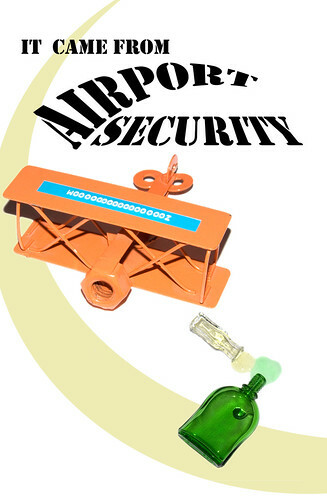 At the same time you are more likely to have accidents such as trips and falls. In general you are also better able to deal with surgery and all forms of trauma the younger you are, then there is the fact that your hip joint will deteriorate more the longer you put it off, resulting in stronger medication and worse deformity of the bone which can make a hip replacement more difficult. So it makes sense to have your surgery early on from a health perspective. Again in this way it is an investment – experience pain now, but thereby stop yourself from having as many future conditions. Finally, as you never know what other complications may arise, or how long you might have to remain on the waiting list, it is a good idea to get the procedure out of the way early on so that you are not caught out later. You also have no guarantee that your hip will not suddenly get a lot worse and then you will regret not having been put on the waiting list sooner. 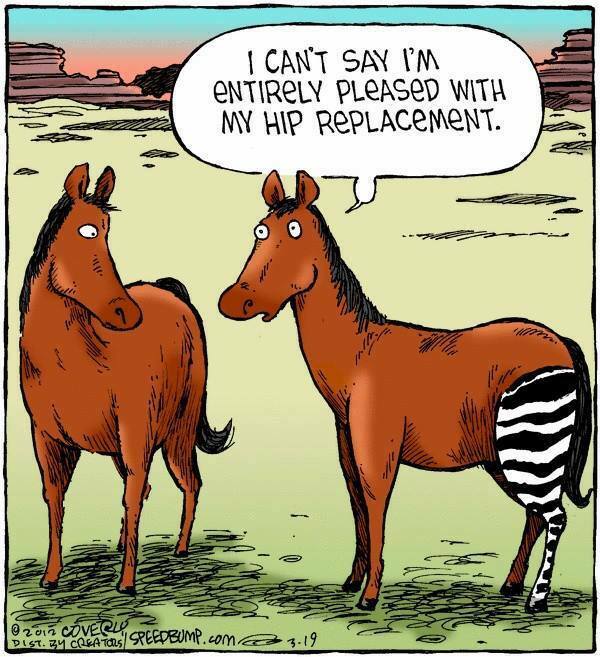 Please send me YOUR HIP (replacement) stories, and videos for a collection I am putting together. 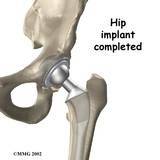 Please email me your “landscape view” HIP replacement process, covering your emotions, tips, and outcome. This is of great benefit for others going through this hip initiation. Q: I had a hip replacement last year and was told that I need to take antibiotics before I go to the dentist. Really?! — Katie K., Brookings, S.D. A: It’s not only a good idea, it’s essential. Reputable dentists won’t work on you if they know you’ve had an implant and refuse the antibiotic. During dental procedures, bacteria living in your mouth — and there are tens of thousands of them — can spread into your blood and lodge on the surface of artificial things, like hip, knee or heart-valve replacements. Some of these newer replacement parts have embedded antibiotics, but you still need antibiotics for a dental procedure. The immune system can’t “see” bacteria resting on inorganic (ceramic, metal or plastic) implants, so no white blood cells come to attack and kill them off. They thrive, and you can get a whopper of an infection. Also, over time, a bacterial film can build up in and around the replacement joint, and that can begin to loosen the joint and cause other problems. Get a prescription for the antibiotics from your orthopedic surgeon or dentist. via Drs. 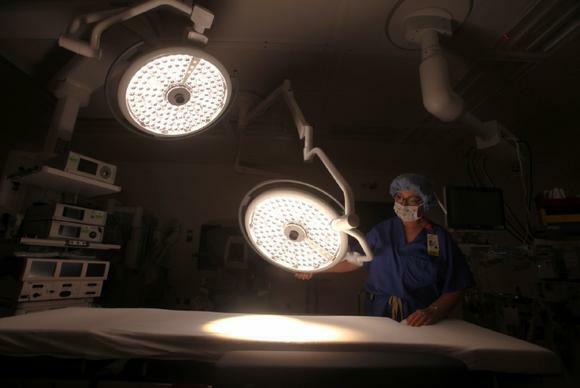 Oz and Roizen: Antibiotics, hip replacement and dental work – The Denver Post. These category names reference the materials used for the implant bearings. The stem and ball fit into and articulate against the cup or acetabulum. Each component can be made of one of several materials. 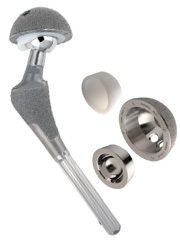 There is no consensus in the orthopedic community regarding the single “best” bearing or material. The choice generally comes down to your surgeon’s preference. Each surgeon has innumerable reasons for choosing one device over another, including his or her personal experience as well as tool and implantation method preferences. 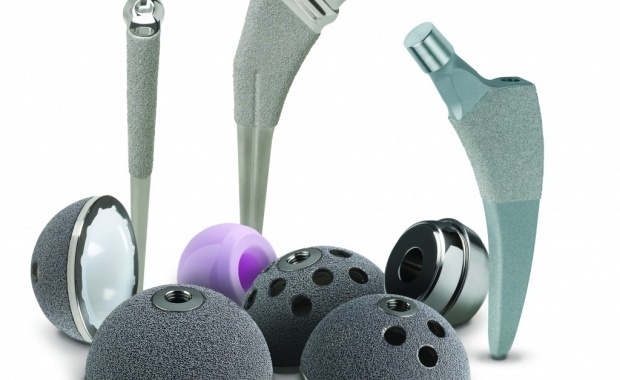 via Hip Replacement Implant Materials | BoneSmart. We are now creating HIP Happy Hours in your community! Throw a ‘Fond Farewell Party’ for your old hip, and welcome in a newer, more bionic one – with your friends… to help you celebrate this initiation into the Hipster Club! You can also invite people who may be experiencing their own process of replacement. Replacing the old self…into a new and improved model. Celebrate this LIFE CHANGING experience, I did it and it was amazing. I felt truly supported and loved. It helped me let people know I am moving forward with courage and gusto. I’ll help you organize your Hip Happy Hour as sort of your “Coming Out Party” or HIP debut. I’ll help you with your list, the invitation and how to coordinate it with your schedule. You are entering a more bionic life, and as scary as it may feel right now – you will feel relieved, revived and ready to be initiated into a new way of being…more HIP! These HIP Happy Hours are very cathartic and celebratory. Trust me, I know. I use to be a DO, DO, DOER. Now, I have been reminded and encouraged to slow down and do my life a new way …and through the process, I have learned so much more about who I am, and who I’m really NOT….that I’ve created this site for YOU! I’m here to support you in this initiation, and also assist you in creating HIPster Clubs in your area. 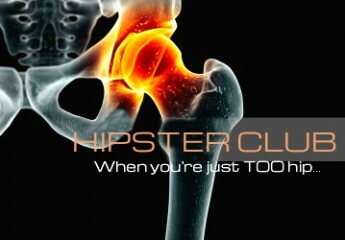 Hipster Clubs are not only to celebrate your new HIP status, but to help others going through it as well. It’s a form of paying-it-forward! Start planning your Hip Happy Hour Party right now…. send me an email and let’s get going! Over 30% of all HIP Replacements are now given to people under 59! What is THAT telling us???? 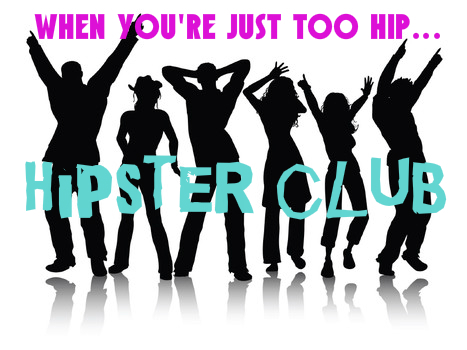 Sign up for our Email Chat group, and meet other HIPsters from around the world! Here are 70 Outstanding Hip Surgeons and Specialists….the best list I have ever found to lead you to the right surgeon for you! You must have the right surgeon to trust and believe in – so you MUST research and be your OWN advocate!!! via Medical tax stirs debate over artificial joints – MarketWatch. Health Activists share their feelings on the Hospital Patient discharge process and what they think could improve the experience. The hip is a ‘ball and socket’ joint that is susceptible to wear and tear which can be caused by injury or various bone diseases including osteoarthritis. This can often lead to severe pain and lack of mobility affecting your daily life, which will worsen over time. If medication cannot help, then the best option maybe an operation where your affected hip joint is replaced with an artificial one. After the operation, you should be able to walk much better and carry out more of your normal activities. 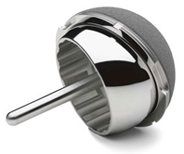 READ MORE via Hip Replacement Surgery | Total Hip Replacement Treatment & Recovery | Circle Private Hospitals UK. 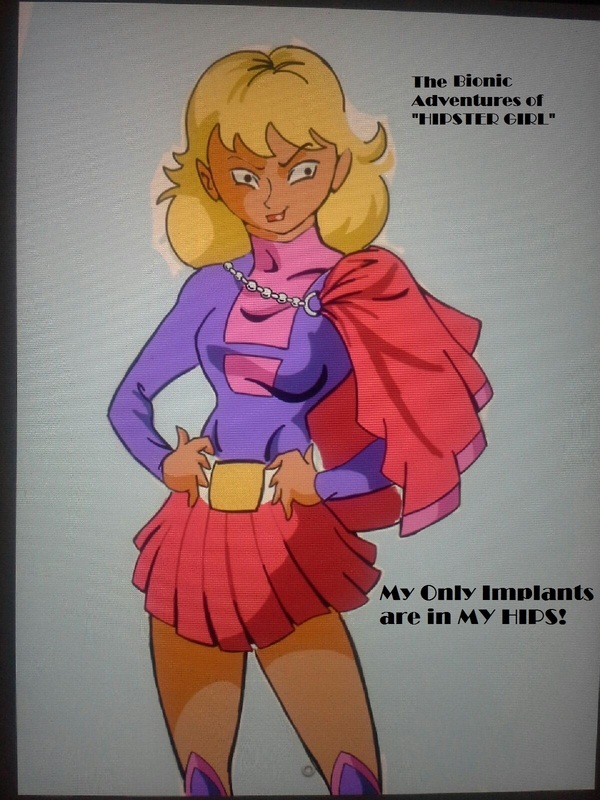 Look for: TOO HIP, another book by Jodi Seidler sometime in 2012!